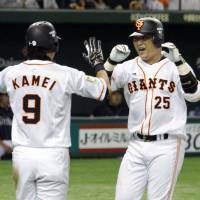 The Yomiuri Giants and Fukuoka Softbank Hawks met in a winner-take-all matchup with a title hanging in the balance on Sunday afternoon. 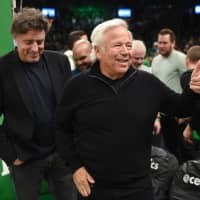 It wasn’t the prize the two teams are hoping to play for in the fall, but for the Giants at least, it was a good start. Shuichi Murata homered and drove in four runs, and Yomiuri won Japanese baseball’s 2014 interleague title with a 10-5 rout of Softbank in front of a crowd of 45,760 at Tokyo Dome. “Before the interleague season began, I thought it would be tough, and we just barely won it,” Giants manager Tatsunori Hara said. The Giants wrapped up the interleague portion of their schedule with a 16-8 record and claimed the midseason title for the second time, having also won in 2012. Yomiuri remains the only Central League club to top the standings since interleague play was implemented in 2005. Softbank was aiming for its fifth interleague crown, and second straight, but finished as the runnerup at 14-8-2. The Pacific League can still win the overall matchup between the leagues as they’ve done eight of the previous nine seasons. The PL currently has 69 wins to the CL’s 68 (with three ties). Most teams wrapped up their interleague slates on Sunday, though there are four makeup games left on the schedule. The Giants beat the Hawks in their final meeting of the season after losing the previous three matchups between the teams this year. Murata finished with an RBI groundout, a two-run homer, and an RBI double in four at-bats for Yomiuri. Yasuyuki Kataoka chipped in with a pair of doubles, including one in the second inning that drove in two runs. Yoshiyuki Kamei went 2-for-3 with an RBI double, Shinnosuke Abe drove in a run with a single in the fifth, his only hit of the night, and Hisayoshi Chono came through with an RBI double in the eighth. Yuki Koyama got the start and the win for Yomiuri. Koyama (3-0) pitched six innings, allowing three runs on five hits. He struck out four and walked two. The Hawks’ three-game winning streak came to an end with the loss. Softbank threw pitcher Yuya Iida into the fire, and the left-hander got burned early. Iida (0-2) was charged with six runs — five earned — in 1 2/3 innings. Iida, a 2012 draft pick, was called up from the Hawks’ ikusei (developmental) roster on May 11, and was making his second career start. Yuya Hasegawa was a bright spot for the Hawks at the plate, hitting a two-run homer in the fourth and picking up another RBI in the sixth. Kenta Imamiya recorded an RBI on a groundout in the seventh and Yuki Yanagita drove in a run in the ninth. The five runs still weren’t enough for the Hawks. Yomiuri’s Hayato Sakamoto singled to begin the game and Yomiuri had the bases loaded before long after a double by Kataoka and a walk drawn by Kamei. When Iida got his first out of the day, it came at a price, as a run scored when Murata grounded into a fielder’s choice. Iida struck out Abe for the second out of the inning as Murata broke for second. Catcher Toru Hosokawa tried for the double play, but airmailed his throw into center field, which allowed the Giants to push across another run on the error. Frederich Cepeda led off the Yomiuri half of the second with a walk, and Daisuke Nakai joined him on the bases paths after drawing a one-out walk later in the inning. They were both driven home on a double by Kataoka that made the score 4-0. Kamei singled in another run to chase Iida, and Murata welcomed reliever Yuito Mori to the game with a two-run home run. Hasegawa got the Hawks on the board with his home run in the fourth. 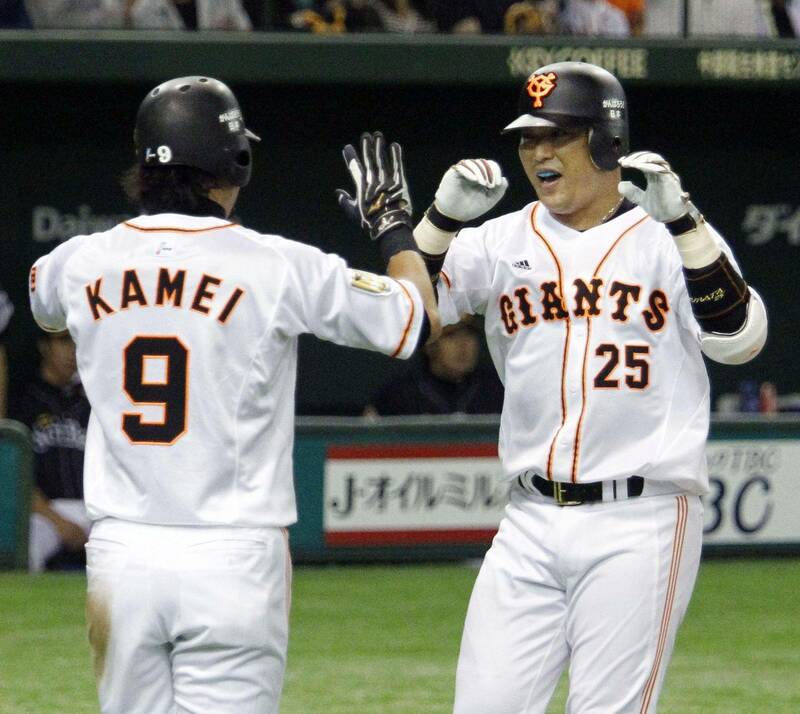 The Giants answered in the fifth with Murata and Abe each driving in a run to make the score 9-2. Hasegawa drove in another run with a sacrifice fly in the sixth. Imamiya made the score 9-4 with his RBI in the seventh before the Giants scored a 10th run on Chono’s RBI double in the eighth. Yanagita ended the scoring by cutting the Softbank deficit to five with a single in the ninth. 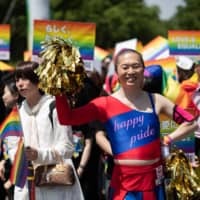 Yokohama — Noriharu Yamazaki’s RBI infield single broke a 3-3 tie in the seventh inning as the Yokohama BayStars defeated the Seibu Lions 4-3 on Saturday for their third straight victory. Rookie closer Tomoya Mikami worked the ninth to earn his 10th save. Fellow rookie Kohei Mantani got his first career win in his seventh relief appearance. At Nagoya Stadium, Daisuke Yamai (6-0) allowed a run in seven innings as Chunichi hammered Chiba Lotte rookie Ayumu Ishikawa (4-4) for nine runs on 16 hits and three walks over six innings. At Mazda Stadium, Rainel Rosario hit a three-run sayonara home run in the 10th inning as Hiroshima defeated Hokkaido Nippon Ham and finished interleague on a five-game winning streak. At Jingu Stadium, Tsuyoshi Ueda’s sacrifice fly broke a 10th-inning tie to earn Tokyo Yakult a walk-off win over Pacific League-leading Orix and earned reliever Chris Carpenter (1-2) his first victory in Japan. At Koshien Stadium, former New York Met Zach Lutz had a two-run drive for his first home run in Japan to trigger a four-run second inning as Tohoku Rakuten beat Hanshin to win consecutive games for the first time in two months.